Update (10/19): World Pasta Day 2016 (October 25) falls on the 2 month anniversary of the Central Italy Earthquake that shook the Rieti province and completely destroyed the historical city of Amatrice. A NYC-based company called Eatiamo is celebrating and helping to keep the donations coming… for more info, read their 5 Ways You Can Make a Difference. This weekend (August 27-28, 2016) would’ve been the 50th (!) 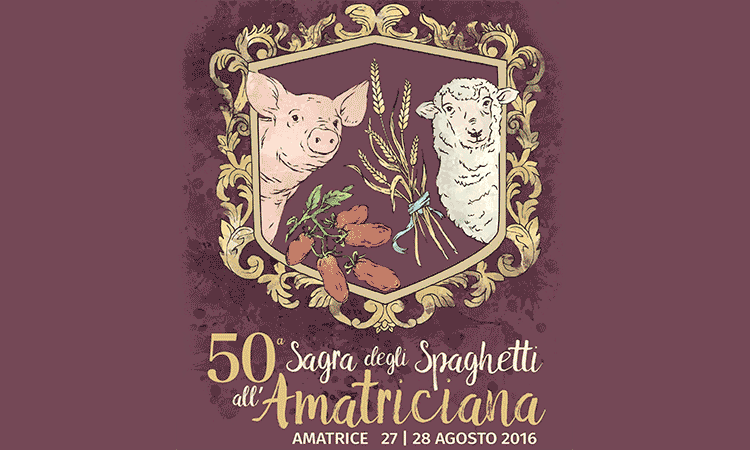 Amatriciana Festival in Amatrice, the Italian town most affected by this devastating earthquake. To show our support, my idea is that we participate in a #VirtualSagra this weekend. Interested? Read the steps below and share with friends and contacts! Let’s make this happen! The weekend is over and #VirtualSagra was a huge success! If you didn’t participate, that’s ok. The affected areas need long-term support, so please continue to cook Amatriciana and donate funds! This Tagboard shows some of the social media posts supporting the cause.